Pusabase: I’ve just found out that you’re in another new(?) 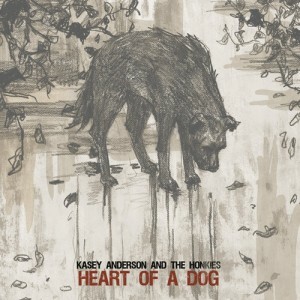 band “Kasey Anderson and the Honkies”, and a new record Heart Of A Dog is coming out early next year? Can you tell more about it? Andrew: Kasey asked me to play on the record. I’ve admired his playing/writing/singing for a while now. We’d talked about doing some playing together at some point- it was an honor and a lot of fun to do the record. We recorded the basics in a few sessions in Portland, OR over the summer… and I went back down a few weeks ago to finish edits. He’s in the middle of mixing it right now- so far it sounds great! It’s definitely roots rock, but has a darker, Tom Waits-esque edge to it. Pusabase: And are you going to tour with Kasey too? Andrew: Not sure if we’ll tour it as a band, but we’re definitely going to do some NW shows soon. Pusabase: Oh, and what is with the increasing linking between PUSA members, and The Long Winters? Andrew: Long Winters… I did two gigs with ’em over the summer… and I think Jason is playing some drums with John Roderick. Never know… super group time?? ?